This Glowing Palette contains six illuminator options to suit a wide range of skin tones. Illuminators draw attention to and bring forward any areas of the face where emphasis is desired. Formulated with natural ingredients, these illuminators melt seamlessly into the skin and can be layered, whether the goal is a natural or dramatic look. Take your first step to a natural, safe and healthy beauty routine with Bellápierre mineral cosmetics. Offering the full range of mineral makeup and skincare that you dream of, Bellapierre will ensure you look and feel like a goddess. Zinc Stearate, Zinc Oxide (CI 77947), Dimethicone, Tocopheryl Acetate (Vitamin E), Magnesium Stearate, Phenoxyethanol. May contain +/- [Carmine (CI 75470), Manganese Violet (CI 77742), Titanium Dioxide (CI 77891), Mica (CI 77019), Iron Oxides (CI77491, CI77492, CI77499)]. Gently sweep onto any areas you want to emphasize. The areas of the face that illuminators are typically applied to are the highest points of the cheekbones, down the bridge of the nose, along the Cupid’s bow, underneath the brow bone, and to the inner corners of the eyes. 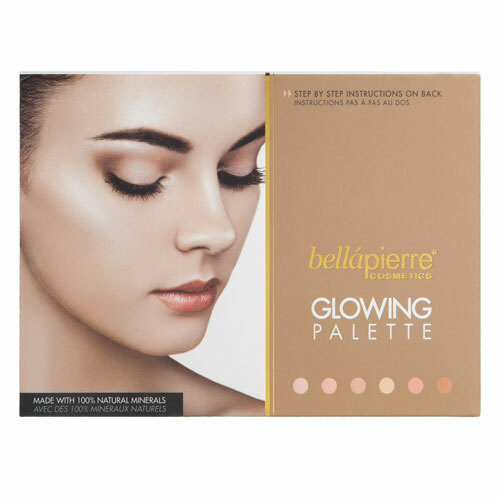 Below are reviews of Bellapierre Glowing Palette by bodykind customers. If you have tried this product we'd love to hear what you think so please leave a review. 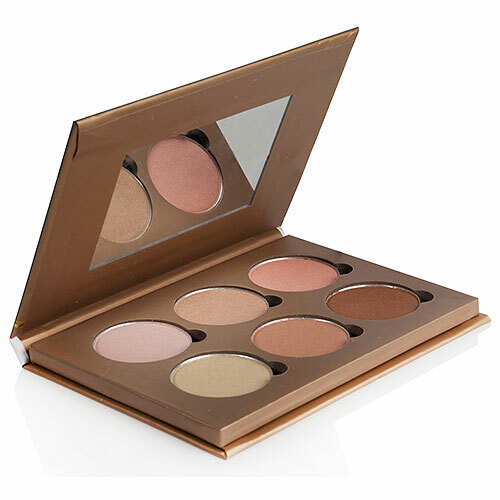 This Glowing Palette contains six illuminator options to suit a wide range of skin tones.